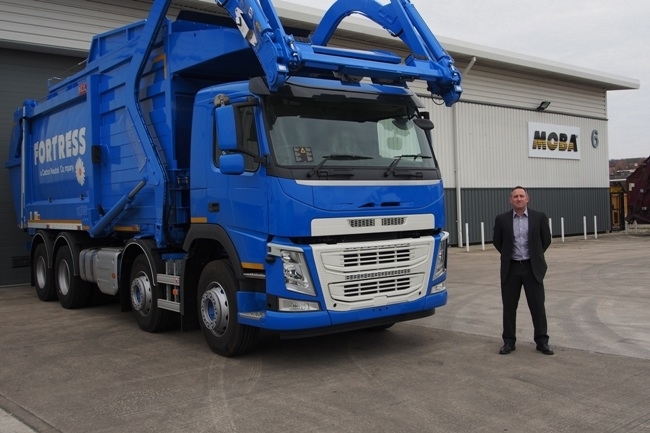 A specialist supplier of machine control systems to the waste logistics and construction industry has moved its UK headquarters to Barnsley as part of its strategy to boost expansion. MOBA UK, which doubled its turnover in the last two years, has moved to new 13,000 sq ft premises at Park Springs industrial estate, Grimethorpe. It retains an additional workshop and administration centre near to its former head office in Buckinghamshire. The company’s relocation north is part of its ongoing UK expansion plans. Its new home is 40 per cent larger than its former base and will allow the company to upscale production and servicing capacity. The machine technology specialists design, install and service a range of sophisticated mobile technology products to two main markets. MOBA machinery and software is used in the refuse and recycling industry to enable waste collection lorries to weigh and sort loads more precisely. And the company’s high-tech devices for the highways construction industry enable pavers and rollers to lay asphalt at the optimum temperature and highest grade possible, to create roads with a longer life-span and reduced risk of pot holes. MOBA‘s technology has even been used to lay the surface at the Grand Prix race track in Abu Dhabi. MOBA’s excavator control systems are also supplied to a number of UK plant hire companies and owner operator contractors. MOBA UK, whose waste customers include companies like Veolia and Viridor, have already recruited a workforce of nine people to work in the Barnsley operation and are currently in the process of recruiting two additional workshop installation technicians and two apprentices who will start in the autumn. MOBA saw its turnover double to £2.5 million in the last two years and aims to increase sales and double turnover again by the end of 2017. Set up five years ago, MOBA UK is a 100 per cent-owned subsidiary of its international parent company, MOBA Mobile Automation group which was founded in Germany over 40 years ago. It has established operations in a dozen countries including Spain, India, Italy, China, Brazil and the USA. Managing director Ian Lewis said: “We have a great deal of international experience and support behind us, but are a relatively new supplier of high-quality technology to the UK waste and construction market. All our growth in the last couple of years has come through securing new customers and promoting the value of investment in our high-tech product to the industries we serve here. MOBA is being helped to develop its business here by Enterprising Barnsley, the economic development and business support arm of Barnsley Council. Its relocation north has been part of its plans since the company’s inception. Ian said: “We wanted a base somewhere between Nottingham and Leeds along the M1 corridor to give us best access to our UK customer base, and have been recruiting in the north to that purpose for some time. After looking around widely, we decided this large, modern unit in Barnsley was the perfect fit for our business and growth plans. Enterprising Barnsley business investment manager Shaun Higginbottom said: “MOBA UK is just the kind of ambitious company we are delighted to attract to Barnsley. It is the leading provider of machine control systems to the waste logistics and construction industry, and the target market for its specialist machinery can only grow as digital technology becomes ever more integrated into the way we all work. MOBA’s existing waste management clients also include PHS, Ash Waste Recycling, Weir Waste and dozens of local authorities. Customers in the road construction industry include Tarmac, Aggregate Industries and Hanson UK; plus it supplies its machinery direct to plant manufactures such as Volvo and Atlas Copco.